Mention the upcoming Olympic Games and most Londoners won’t bother to conceal their groan. Between the soaring costs, delays to daily commuters and general over-crowding there is no shortage of topics to complain about. However few Londoners mention any of the myriad of benefits and opportunities that come with being in London year's Olympic Games. London is a bustling metropolis that hosts countless events every day. 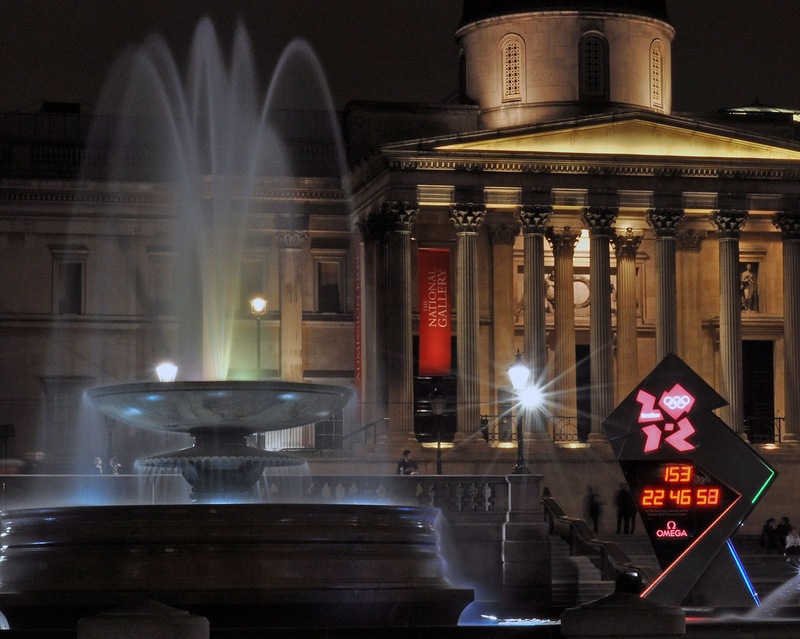 To mark the occasion of London hosting its third set of Olympic Games (previous Games were hosted in both 1908 and 1948), 2012 will be a year of sponsored cultural events. Billed to be the largest free celebration of the 2012 Olympic Games, London Live 2012 will be taking place at three of the most quintessentially London locations: Hyde Park, Victoria Park and Trafalgar Square. Large state-of-the-art screens will be erected in all three of the locations that will be broadcasting all of the medal events. There will also be live music, outdoor arts and opportunities to try out a number of Olympic and Paralympic sports. Special Celebration Concerts will be held in Hyde Park and timed to coincide with the Opening and Closing Olympic Ceremonies. Ticket prices and headline acts for these concerts are still TBA. One of the more innovative happenings this summer in London is the River of Music. Along both side of the Thames in central London, groups representing all of the Olympic countries will be performing music native to their homelands. I can only imagine how they will represent the USA…country music perhaps? Those more interested in the literary world than that of athletics should note that 2012 marks the 200th anniversary of the birth of Charles Dickens. This anniversary is being marked by museum exhibitions across the city. Fans of the author may want to check out the Dickens and London exhibit at the Museum of London. If Shakespeare is more you style you might check out the World Shakespeare festival which runs from April through September. The festival will encompass almost 70 productions, along with supporting exhibitions and events, and will take place in seven different locations around England, Scotland, Wales and Northern Ireland. Not to be outdone by any mere authors, 2012 marks the Queen’s Diamond Jubilee. This is the celebration of Queen Elizabeth II’s 60 years as monarch. To mark the occasion, the country’s second longest reigning monarch is touring the country to see her people. While the Queen’s Diamond Jubilee is being celebrated throughout the Commonwealth countries this year, the event will culminate in Great Britain with a four day holiday that coincides with the Queen’s birthday in early June. Additionally, a number of museums and historical sites are hosting special exhibits in honour of the Queen’s reign – including a special display of the Queen’s diamonds and jewellery in Buckingham Palace. Of course, one of the best reasons to be in London this summer is for the Olympic Games themselves. Even without event tickets, opportunities abound to enjoy the games first-hand. Various events from the torch run through the city men’s and women’s marathons, and the triathlon cycling and running will present opportunities to cheer on competitors for free as these courses traverse the city. Not interested in dealing with the crowds in London? That doesn’t preclude you from catching sight of an Olympic Event. The Road Cycling races are taking place in the Surrey countryside and will present a picturesque setting in which to enjoy this year’s games. For more information on the London 2012 Olympics and the various events that are happening, check out http://www.london2012.com/, http://www.worldshakespearefestival.org.uk and www.direct.gov.uk/diamondjubilee .